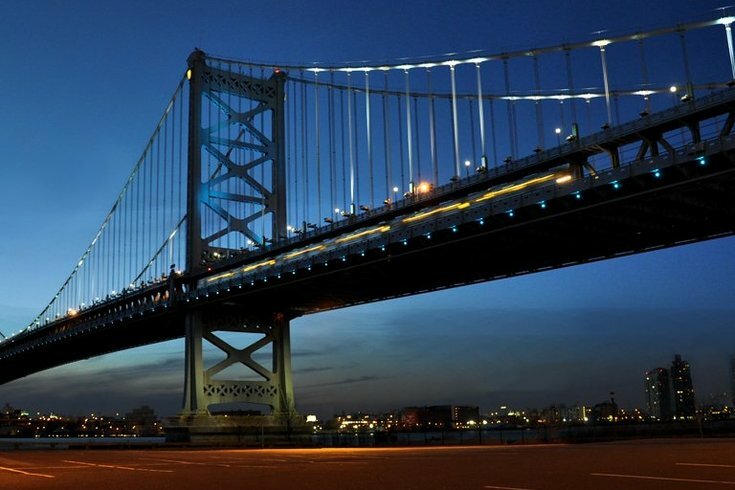 For the second time in as many weeks, the Ben Franklin Bridge will be illuminated in blue to honor fallen police officers. The Delaware River Port Authority announced on Monday that the tribute for the three fallen Baton Rouge, Louisiana law enforcement officers will last until July 20. Last week, the structure honored the five Dallas police officers who were ambushed during a protest. When the tribute ends, the bridge will shine red, white and blue during the Democratic National Convention.